our public repository of projects, rules, processes, and knowledge. 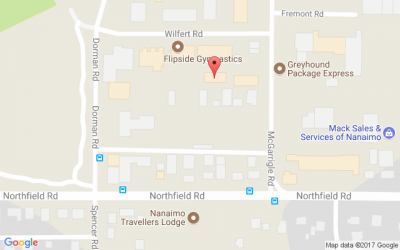 Makerspace Nanaimo is a membership based, non-profit, shared community workshop and laboratory. We are an organized group of local artists, engineers, makers, and thinkers who work together to provide tools and learning resources to the public. At Makerspace Nanaimo we believe that collaboration is a truly effective form of learning. 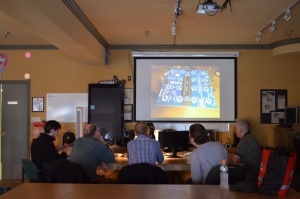 To that end, our members and volunteers hold unique educational events and collaborate on cool projects. We operate as a Do-Ocracy () and welcome anyone willing to volunteer their time to help improve the space. Stop by during any calendar event to check out the space and have a tour. 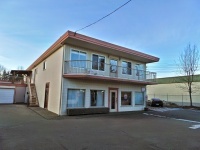 We are located just west of the old Island Highway (BC-19A), off Northfield Rd. (optional) Make a donation to the Maker Fund. This main page is a derivative of the Dallas Makerspace Wiki, used under CC BY-SA. This page was last edited on 26 November 2018, at 13:16.